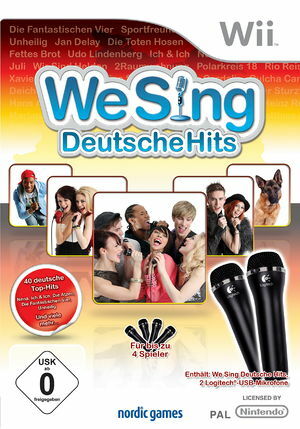 We Sing Deutsche Hits is a 2011 Music video game, part of the We Sing series. The game features 100% German artists and is set to only be released in the German speaking territories. The graph below charts the compatibility with We Sing Deutsche Hits since Dolphin's 2.0 release, listing revisions only where a compatibility change occurred. This page was last edited on 24 February 2018, at 15:52.